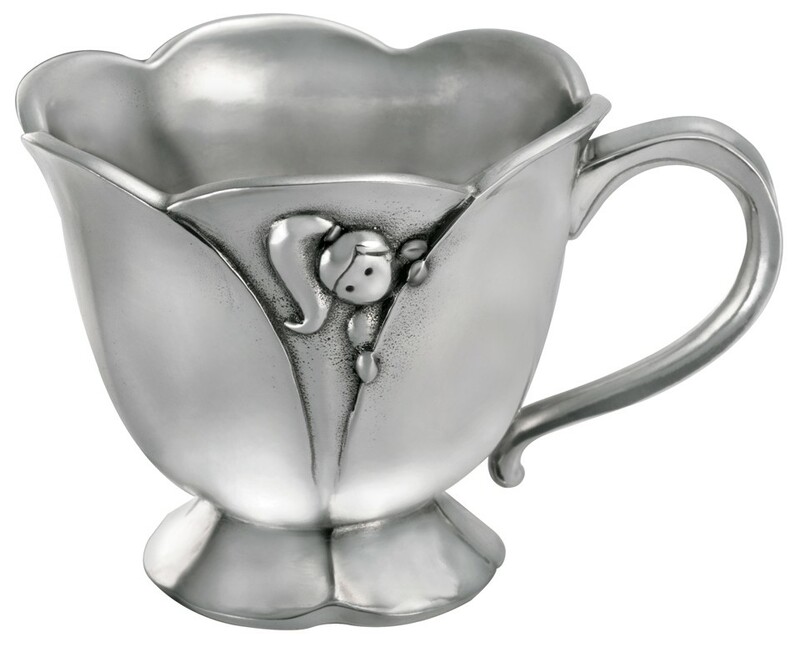 This charming pewter baby mug is inspired by Hans Christian Andersen's tale of Thumbelina, a thumb-sized girl. Flower petals cleverly form the shape of the mug, with tiny Thumbelina peeping out from within the tulip. 12cl.